Ned's Auto Body Supply Inc. - The Bay Area's leading auto body supply specialists. 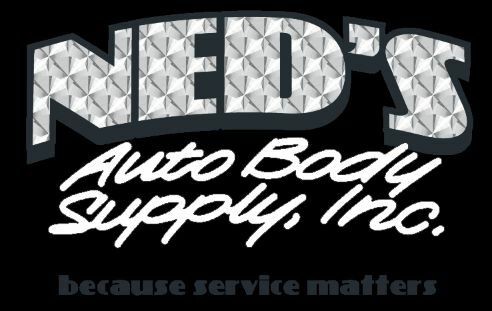 Ned's Auto Body Supply Inc. is headquartered in Concord, California. Our staff of over 20 employees and our fleet of 7 delivery vehicles provide expert service and delivery. Ned's Auto Body Supply Inc. is the Bay Area's premier supplier to body shops and automotive refinish professionals. With three Bay Area stores to serve you we offer timely, accurate delivery from our well stocked locations. Ned's Auto Body Supply Inc. is one of the largest distributors of paint and related supplies in the Bay Area, with three locations in three cities to serve you. Exceptional sales, service and support have earned Ned's Auto Body Supply Inc. the elite status of Platinum Distributor by PPG, the world leader in automotive finishes. The Platinum symbol is your assurance that we meet the highest standards in the industry: yours. It means you can count on us to provide a lot more than products; you can count on us to provide insight in such areas as process improvement; personnel and inventory management; new products, equipment and techniques; and more. Together, PPG and Ned's Auto Body Supply Inc. bring you the products and practices to help your business prosper.